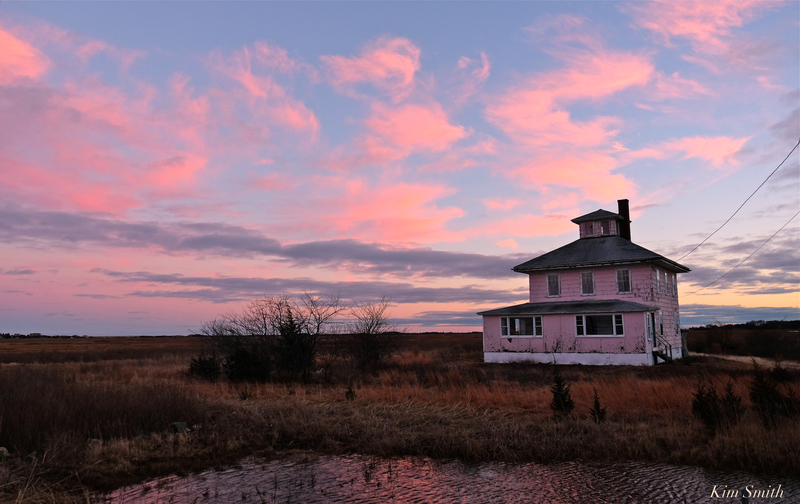 The lonely pink house of Plum Island’s Great Marsh is today only visited by hawks and Snowy Owls, perching to scan the surrounding vista for their next meal. The Pink House has not been occupied since the early 2000s and looks worse with each passing year. Last winter I was at the refuge for a program held at the PRNWR headquarters. 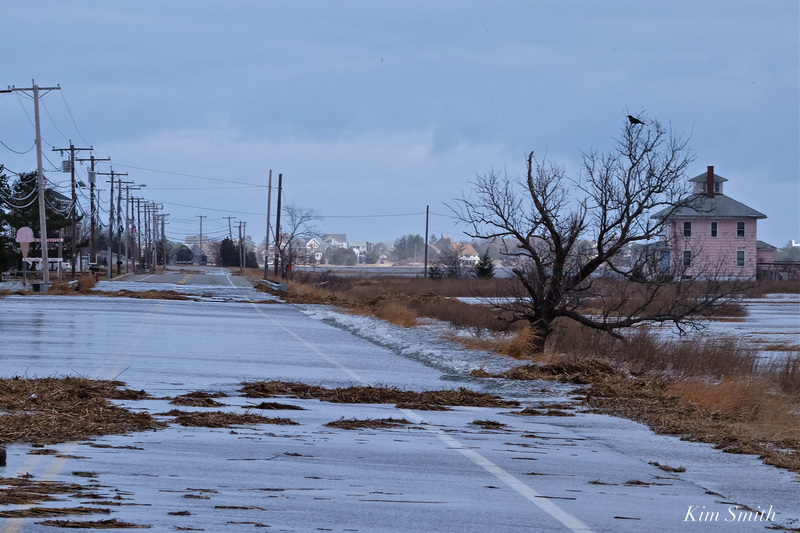 After the event I tried to drive towards Plum Island but with sea water gushing in from the marsh, the road in front of the house was dangerously impassable. 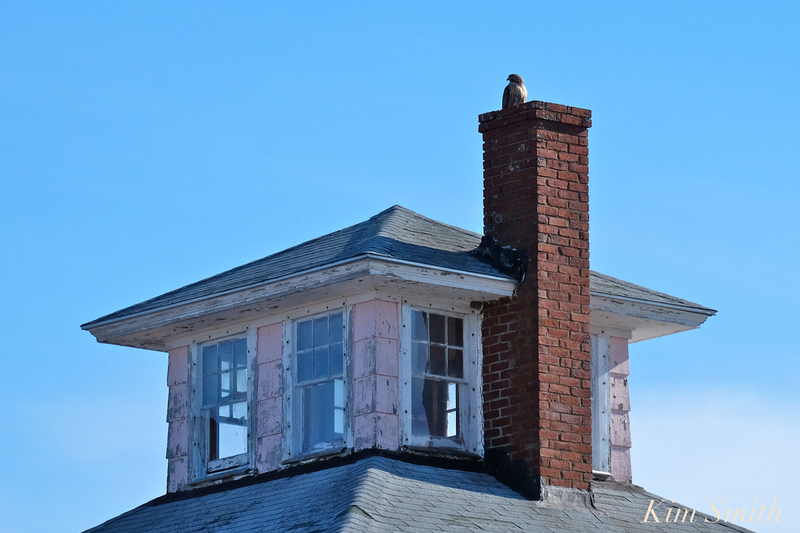 This entry was posted in Birds, Birds of New England, Life at the Edge of the Sea, Parker River National Wildlife Refuge, Snowy Owls and tagged beautiful Birds of Massachusetts, coastal flooding, FREE HOUSE, free Pink House, Hawks, Parker River National Wildlife Refuge, pink house, raptors, Red-tailed Hawk, Snowy Owl, Spite House, US Fish and Wildlife Service on December 27, 2018 by Kim Smith.